you’ve crossed paths with any teenagers lately, you’ve no doubt witnessed them texting, e-mailing, and social networking—or talking on their cell phones about how they just texted, e-mailed, or visited a social networking site. Technology and modern communication devices are not just an accessory to teens today, but a part of the fabric of how they relate to one another and to the rest of the world. Think about how much has changed in less than one generation: I actually dialed a rotary phone when I wanted to spread juicy gossip in high school and had to wait three days for my film to be developed if I wanted to pass around an incriminating photograph. When writing about contemporary teens in young adult fiction, it’s critical to represent today’s young people in believable situations. But how do you integrate technology into a storyline without making the work seem dated? Or leave technology out without appearing out of touch? And how important is it to keep current with the latest gadgets and online tools? If you’re writing reality-based fiction for young adults—or even middle-graders—you’ll likely need to work technology into your manuscript or be able to effectively work around it. The good news is that a number of YA authors and editors are doing it well, and they’ve agreed to share their tips. Here’s their how-to guide for incorporating modern technology into believable plots that can withstand the test of time. To maintain credibility with the skeptical young adult audience, a book’s characters, setting, and plot have to be real to the reader. These days, that means acknowledging that most kids have cell phones, computer access, digital photo and video capabilities, and caller ID, whether your character does or not. Many YA authors draw from their past experiences when crafting tales about contemporary teens, making Hershenhorn’s advice even more critical. If you’re older than twenty-five, the way you got asked out on a date, spread a rumor, or made a new friend has probably changed significantly. Though young adults have shared the same roller-coaster experiences for decades, they certainly play out differently in the Internet era. 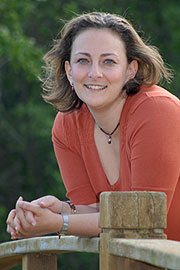 Jenny Meyerhoff, author of the middle-grade novel Third Grade Baby, knows that first hand. 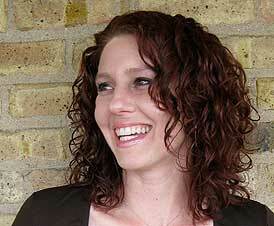 Meyerhoff based her first young adult novel, Queen of Secrets (due out in June), in part on her experiences as a teen. 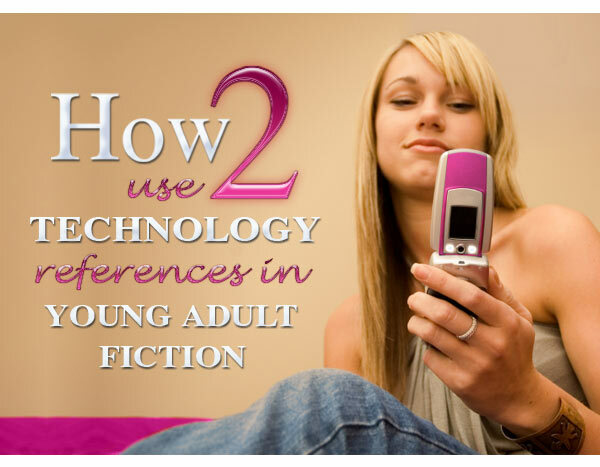 If technology plays a central or supporting role in your YA manuscript, you’ll want to be certain to keep it fresh. A reference to MySpace, for example, is probably going to make your work sound dated before it even crosses the editor’s desk. Considering how long it takes a typical YA novel to go from first draft to publication, being general is the best way to keep contemporary YA, well, contemporary by the time it hits the shelves. If you find that some of your references are too specific or on their way out already, going from specific to generic can be a simple fix. “Sometimes it really is a matter of just doing ‘search and replace’,” adds Kole. To avoid the issue altogether, some writers use parody to incorporate technology without the risk of having a specific tool or site fall out of favor before the ink is dry. Kole provides this example: I typed a message into my BrainBerry and gave Lexie a wink on her FacePlace page. “Though it is a little cheesy for my taste, tons of writers have made it work,” she admits. The fact that certain devices even exist has forever altered some classic scenes from books and films. Getting lost in the woods isn’t quite so frightening when you can GPS your way home. Uncovering the clues to solve a mystery or discover the identity of a suspect simply isn’t as engaging in the age of Google. That horrifying phone call from the terror-inducing stalker loses its edge when your caller ID identifies him before you even pick up the phone. If a situation for your characters could be easily fixed with a common bit of technology, you may need to take a second look. “If you’re writing a scene where your character is trying to solve a problem, and you find yourself thinking: Gee, this would be so much easier for these characters if they could just call each other on their cell phones, you probably need to find another way to put your characters in the difficult situation,” Cantor recommends. An honest critique group can help you look for scenarios like these and provide feedback on whether a part of your story rings true without the use of technology. If you’re choosing not to include common aspects of technology, be sure you have a good reason that is clear to the reader. However, she cautions authors against using the past as a quick fix to the technology dilemma. “It worked in this instance because it melded with the story the author was already trying to tell,” she explains. Though choices about the use of technology in contemporary YA can present a challenge, it’s important to focus on your end goal and listen to your instincts. 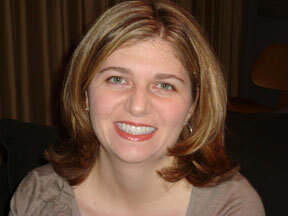 BJ Marshall has been a freelance writer since she was a teen writing for her hometown newspaper on a typewriter. Though she conducted interviews on a rotary phone in the early years, she did not actually use it to spread gossip. She lives in suburban Chicago with her husband and three children, who could e-mail and text before they could walk. Read more about her at www.bjmarshall.net.